Dan Hurley tried to hack his intelligence Tim Ferriss style: exploring the latest research and subjecting himself to treatments. The final result was disappointing, but the individual research studies and their findings were quite interesting. His testing tools were Mensa IQ exams before & after which resulted in only a 1 point increase, and also a fMRI scan. He ultimately decided to try these 7 techniques: exercise, dual n-back, luminosity, nicotine patches, trans-cranial direct current stimulation (brain zapping), learning a new musical instrument, and mindful meditation. 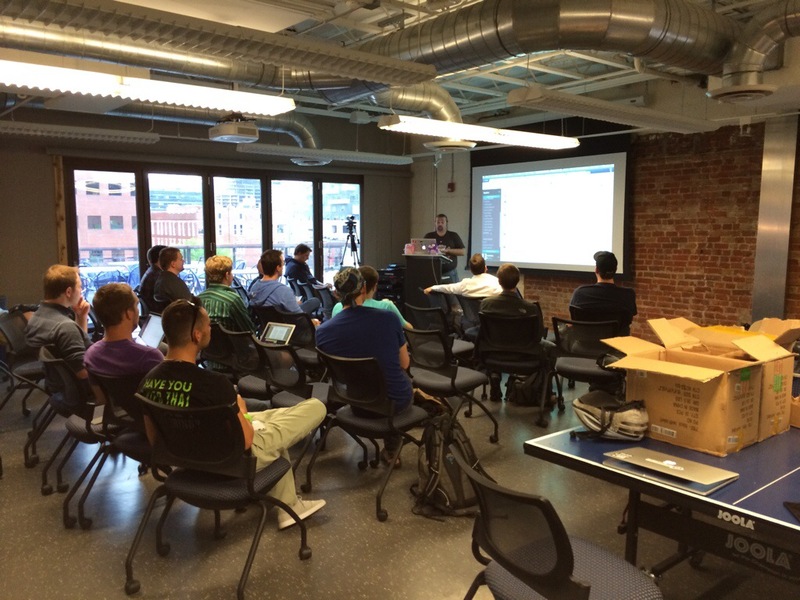 Thursday, May 22, 2014 was the first Denver Gophers meetup held in SendGrid’s offices (previously held at Galvenize). As SendGrid was hosting the event, and since I was the person that got the event moved to SendGrid, I thought it only appropriate that a SendGridder give a talk for the meetup. For demonstration and learning purposes, I created a playground app named “coffee-shop” where I could continuously build and refine Golang idioms and larger patterns. I created a set of slides using a go.tool named present that seems to be the de facto golang presentation tool. The talk was well received and it was definitely a fun experience. 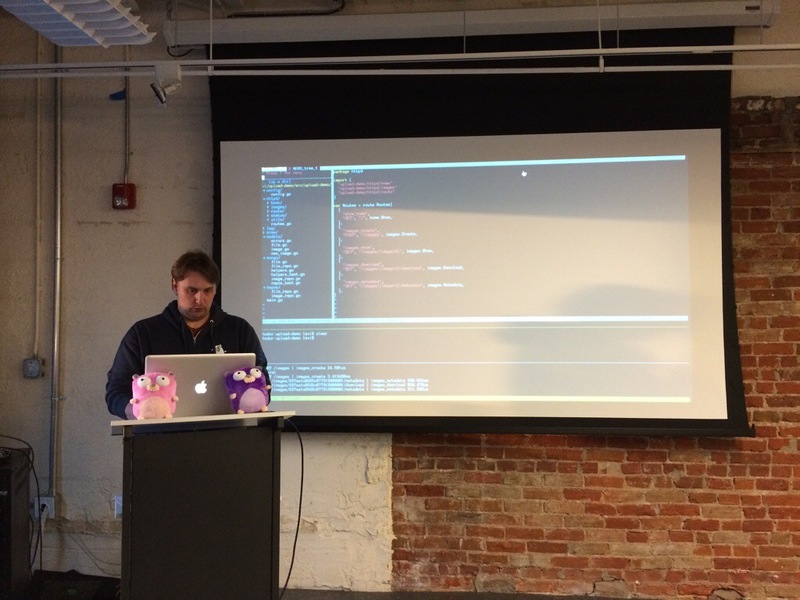 I’m really looking forward to future Denver Gophers meetups at SendGrid’s offices. This book was truly a great effort in research and a wonderful collation of various points of view on the start of World War I. After reading this book, I was not surprised that this book won the Pulitzer Prize for non-fiction in 1963. The parts of the story that interested me the most were how the speed of military mobilization and speed of communication between commanders and armies contributed to many avoidable circumstances. At one point, the German emperor actually ordered a delay in mobilization to reconsider his position, but because the massive mobilization had already begun stopping it, although possible, would have devastated the armies in terms of fighting capabilities. Logistics constraints of transportation and supplies constantly plagued both sides, and speed of communication just slowed down the reactiveness of battle. All situations in the war were clouded by the fog of war. Also very interesting was the financial detail of fighting such a war at a time that monetary markets did not have the sophistication of current times. WW1 was a time of indemnity payments by the loser and billeting by invading armies. The idea that a quick and decisive war could be fought and won was a very tempting idea to the Germans. Both sides understood a protracted war would be devastating far beyond the military casualties, and both sides also depended on the others’ motivation to keep the war short. When I first picked up this book, I thought the “flow” it was referring to was a feeling of total immersion and focus. Instead, I found it was about a feeling of flow in life events due to embracing synchronicity. Most of the exemplary life stories given in the book illustrate the “go with the flow” approach to living life. The website for this book is filled with synchronicity stories submitted by visitors. If you like those stories, you’ll love this book. You can find groupings of these stories on flowpower.com on the left hand navigation bar under “Great Synchronicity Stories”. The best way I could manage to implement the singleton pattern in Go was by utilizing package encapsulation. I couldn’t use a const because it only allows for compile-time constants and NOT runtime constants. The singleton can only be created from inside the package (lowercase struct), so packages with a singleton should be as small as possible to avoid mistakenly creating more than one. In Go, functions are first class types. Methods are functions that have a bound receiver that really is the first argument to a function, but I’ll discuss that in a later post. The strategy pattern allows us to write code that performs a certain function and inject different behavior at specific points. Languages that treat functions as first class types make this fairly easy, and I’ve included an example of this in Go below. The builder pattern should prove very useful since the problem it solves is more difficult in the Go language. The builder pattern was created to prevent the constructor telescoping anti-pattern in languages like Java, C++, etc. But you can’t write that anti-pattern in Go because the language doesn’t allow method/function overloading. So in a Go “package” if you have some kind of constructor typically ‘func New(someArgs…)’ that’s the only instance of ‘New’ you can have in that package. Petty Officer Marcus Luttrell, a SEAL Team 10 member, and the sole survivor of Operation Red Wings in Afghanistan recounts one of the most tragic special operations losses in US history. The description of the events in the lone survivor’s voice convey the horror and emotion of the situation from his perspective. The book begins with the fateful SEAL team enroute to Afghanistan aboard a military aircraft and frequently flashes back to the author’s life leading up to present time. His desire to become a Navy SEAL was a lifelong dream that he prepared and trained for long before even joining the Navy. A large section in the middle of the book described in great detail all the physical training and endurance of cold and pain that is required of successful candidates to become Navy SEALs. My favorite quote that the author attributed to an instructor “the body can take nearly any abuse, it’s the mind that needs to be trained”. A single decision started in motion the events leading up to the death of 19 US soldiers: the decision to let a group of local goat herders leave after they had stumbled upon the SEAL team’s position. The soldiers were torn between the obvious strategic mistake of letting any locals know of their presence (since they were a 4 man unit) versus the threat of being labeled ruthless murders by their own country. Sadly, the let the locals leave unharmed and their presence was revealed to hostile forces in the area which lead to the battle this book describes in great detail. The silver lining in the story, if you can see it that way, is the protection of this lone American soldier surrounded by hostile forces provided by local Afghanis. Pashtunwali (lohkay) is unwritten code adhered to by traditional Pashtun people that a guest must be protected at all costs. Under the threat of imminent death by Taliban forces these armed villagers defended a foreign soldier because of an ethical code of honor. I was disappointed by this book’s formulaic suggestions for nearly every kind of social situation. I can understand why the critics of this book trashed it as being a guide for people who just want to fake interest in other people for personal gains. The author really made it seem like work to prepare to enter these situations. The level of readiness that she encouraged while reducing anxiety for the timid might just take the fun out of the experience. The length of the book seems artificially inflated by the repeated detailed explanation of minor variations of core concepts. There are separate chapters for class reunions, business holiday parties, cocktail parties and other social situations. I would have preferred the book simply extract the themes and concepts and expound on their appropriate usages rather than explicitly applying them to very specific situations. The topics that weren’t really developed as much as they should have been were these two words: charm and chutzpah. A very short chapter was titled with those two words, but developing on them would have been far more useful. The author pointed out many things in modern society that make us less courteous to each other, but missed the opportunity to suggest how to better manage common social courtesy in our modern, attention-splitting, time crunched world. This book reviews a collection of biases and shortcuts used by the human mind and how they serve us in the modern world. Each chapter focuses on a particular bias or fallacy and provides a very relatable example to demonstrate this. There are 48 chapters and each chapter points to a scientific study as a point of fact. Below I’ll list each chapter with links to the various subjects on wikipedia. Each chapter is quite short, but the subject matter is worthy of considerably more attention and study. The book definitely intrigued me and I intend to spend more time trying understand how these cognitive biases and fallacies influence me.